Preheat the oven to 350ºF. Cream butter and sugar until light and fluffy. In a separate bowl, whisk together the remaining flour, baking powder and salt. Grease a 9-inch square baking pan with non-stick spray. Spread batter into pan. Sprinkle batter with remaining tablespoon of sugar. Bake for 35-45 minutes. Check with a toothpick for doneness. Let cool at least 15 minutes before serving. Yum! I just made this this morning from a different adaptation... I like that you use half the butter, gotta try that! Look at that cake...so plenty of blueberries...!!!! This looks amazing! I can't wait to try it! I'm pinning it too! Tried this and absolutely loved it! Super easy and super yummy! Thanks for sharing! Yummy! I used non fat buttermilk (my store was out of the regular) and it was still a delicious recipe. The perfect recipe to show off fresh blueberries. Yum! Looks good. I printed it out too. I just made this recipe last night and it is almost all gone!! I will be blogging about it tomorrow! I made itlast weekend! It was fabulous. Not too sweet and not too cakey. Great for breakfast, brunch or an after supper sweet treat! Can i substitute fresh blueberries with canned? Im in the philippines and fresh blueberries is very rare here. New to this site, Question: Can you use self rising flour and leave the baking powder and salt out? I don't normally keep "plain" flour on hand. your recipes are wonderful, please keep them coming! Just wondering what the calorie, fat and sugar grams are per serving is for this. Sounds great!! If you don't want the berries to sink to the bottom coat them in flour before you fold them in. can you use rasberries instead of blueberries? I have made this numerous times because it is just too good! I made some to send to school for the teachers and was asked for the recipe. It is very easy and I love the flavor of the buttermilk in addition to having a large amount of blueberries! You can't miss on this one! The recipe calls for "vanilla"...vanilla sugar or extract? If you make this then you'll have to figure out how to stop eating it. This is a great receipe. can you make this glutein free? 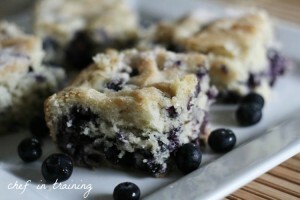 Yummy recipe, I love anything with blueberries!!!! How do you get the crumble on top? Too funny- i made this today for my boy even tho it meant heating the kitchen in a heat wave. It is one of his favs. SO worth it. I think this recipe looks neat! I want to know how lemony is this cake when done? I love the combination of blueberries and lemon and if its not too lemony is there a way I can add more lemon flavor to it and what amount of lemon juice could I add to the recipe? I'm going to try blueberry muffins. I loved the texture but all I could taste was the salt. Next time I will leave out the salt. please give alternative to buttermilk! thank so much! Thank you for the simple and delicious recipe. I am making it for the second time. My kids who don't normally like too much fruit in baked goods, love this. Great recipe! I've made this twice now, my husband who doesn't normally eat blueberries loves it! I'll be making this many more times! Can you use strawberries or raspberries? Oh My my this is good! I only had one cup of bleuberry's so I put one cup of shreded coconut and its delicious! I originally had this at my sister's and it was delicious! I came home and made the recipe in Denver (using high altitude adjustments). 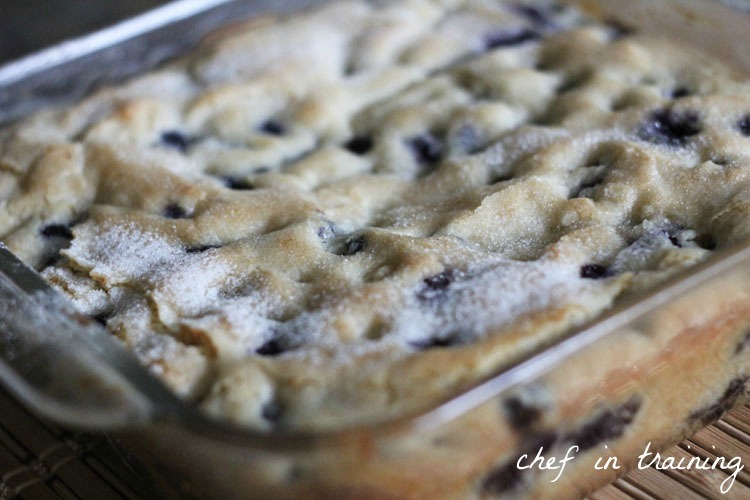 The dough is so thick it is impossible to fold in the blueberries without crushing them all. Do you think this could be made with frozen berries? I have a freezer full!! Maybe toss the frozen berries with a bit of flour before adding? I added a Mire Lemon Glaze and it was amazing! Thank you for this wonderful and easy recipe.